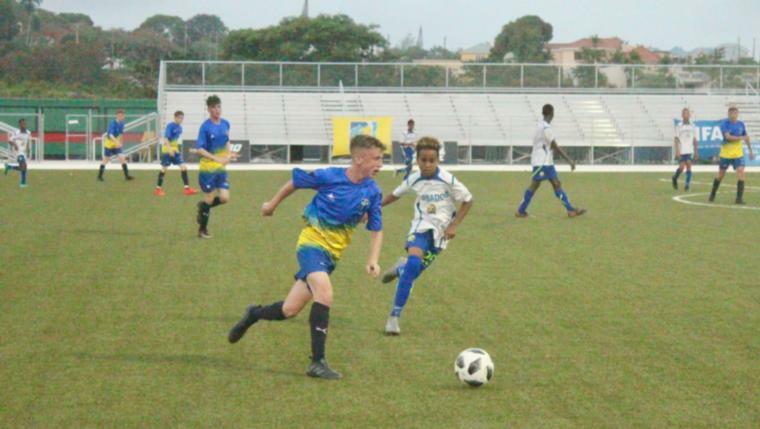 Barbados' Ethan Taylor taking on Oscar Crowley in yesterday's match-up. 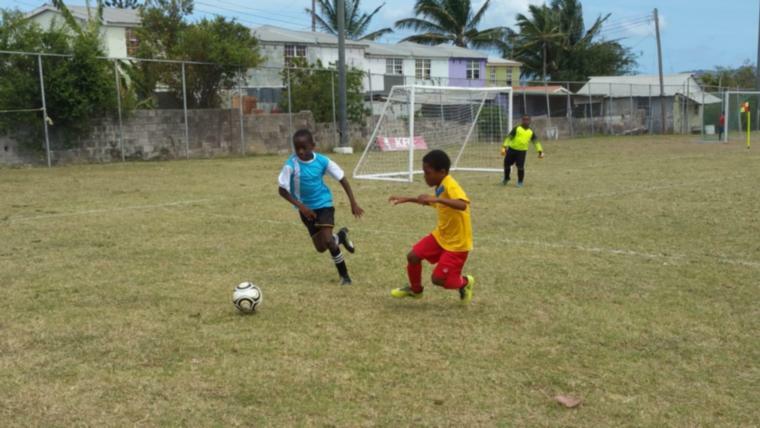 A goal in the dying minutes from Matt Horne gave a visiting Forest School team just what they needed to edge out the Barbados Under-14 boys when the teams clashed on Monday evening at the Wildey Turf. Holding their own for most of the match, the local lads gave a good account of themselves as they ran toe-to-toe with the much older and bigger boys on the full-sized field as the touring team played a squad of players ranging from 16 to 18. 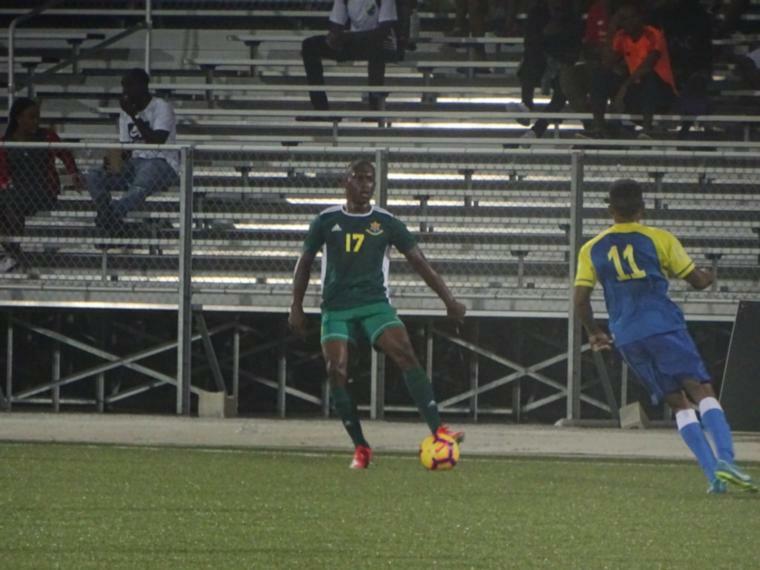 The Forest School struck first in the 29th minute when Toby Nave took a shot at Barbados keeper Raheem Agard and the ball went over his head and into the bars. However, the lead did not last for very long as Aaron Cumberbatch returned the favour with a beautiful long-range lob that beat the Forest custodian Ollie Williams in similar fashion just a minute after. The home boys were feeling the energy of the large crowd of supporters on-hand and picked up the lead in the 35th minute with a goal from Khimani Cox. The visitors continued work hard and it paid off before the end of the first half with Horne getting his first of two goals in the 46th minute. 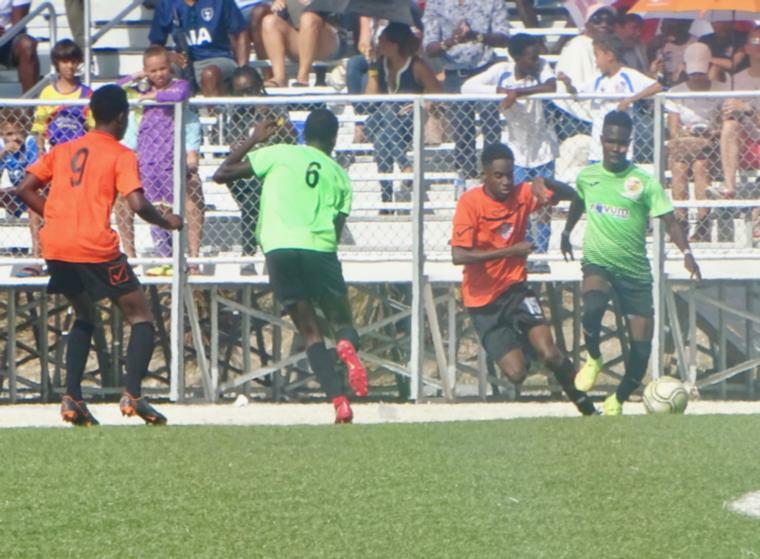 The second half of the encounter saw several changes to both teams and countless exchanges thwarted on either side as the hosts continued to match the Forest School boys pound for pound. But persistence would pay off and Horne got the game-winner in the 93rd minute. 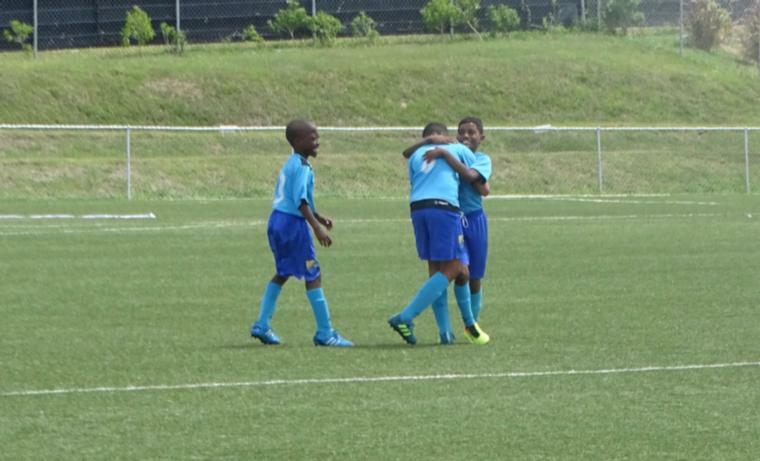 With a few more days on island, the boys, who also play cricket, have two more engagements at the Wildey Turf. 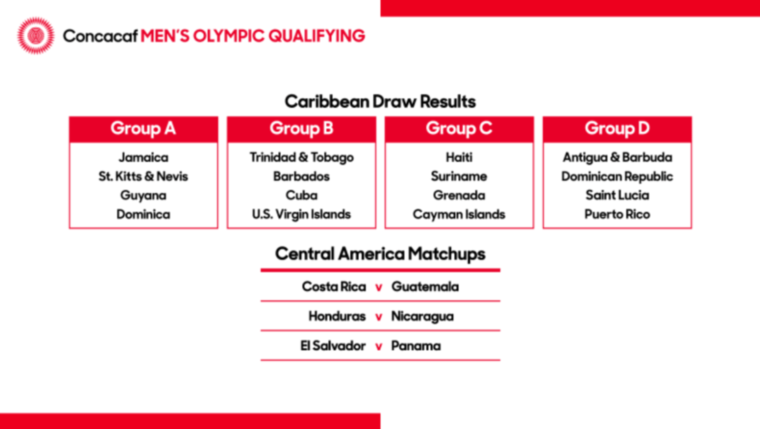 On Thursday evening at 5:00 PM, they will be taking on the national Under-17 team while the Under-14 will have another crack at them on Saturday morning at 10:00 AM.